Originally printed on February 8, 2019 in the Dereham Times. FINDLAY ANDY Of Shipdham, formerly of Winslow, passed away peacefully in hospital on January 26th. Loving husband of Tricia and a dear brother. He will be sadly missed by all who knew him. Funeral service at St. Faiths Crematorium, Norwich on Wednesday, February 13th at 2.45 p.m. 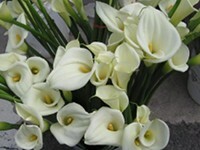 Flowers may be sent c/o W.C. Littleproud & Son Family Funeral Directors, Hale Road, Bradenham, IP25 7RA.